Autobiographical Data: Quentin obtained a BSc degree with university distinction in 1983 from Peking University, a PhD degree in 1992 from Carleton University and a PDF in 1993 at National Research Council of Canada. He has industrial working experience of two, three and four years in Beijing, Ottawa and Hong Kong, respectively. He chartered as a professional geotechnical engineer in 1995 in Ontario and in 1998 in Hong Kong. He joined HKU as an assistant professor on contract in 1999, retitled to associate professor on contract in 2001, tenured in 2008 and promoted to a full professor in 2015. Quentin’s teaching and research activities mainly on two areas: 1) the development of effective, environmental-friendly and quality methodologies for land reclamation and development in well protected sea and mountainous environments of Hong Kong and other regions; 2) the development of his theory of highly compressed natural gas cause of earthquakes and volcanoes. Statement: Quentin has prepared to serve the Council for further and better development of our University in the coming years. He would like to use his expertise in geotechnics and land development for promoting and developing HKU’s Kadoorie Centre. 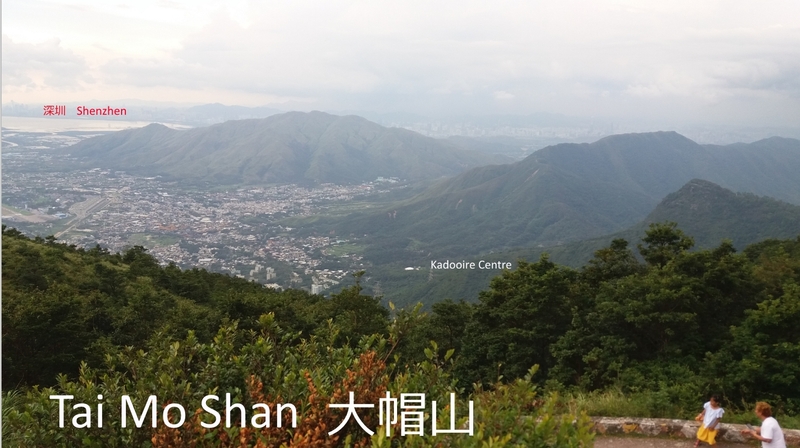 The Kadoorie Centre has a land of 11 hectares (110,000 m2), and about 75% of the total land of our main campus including added land of Centennial Campus (see Figure). 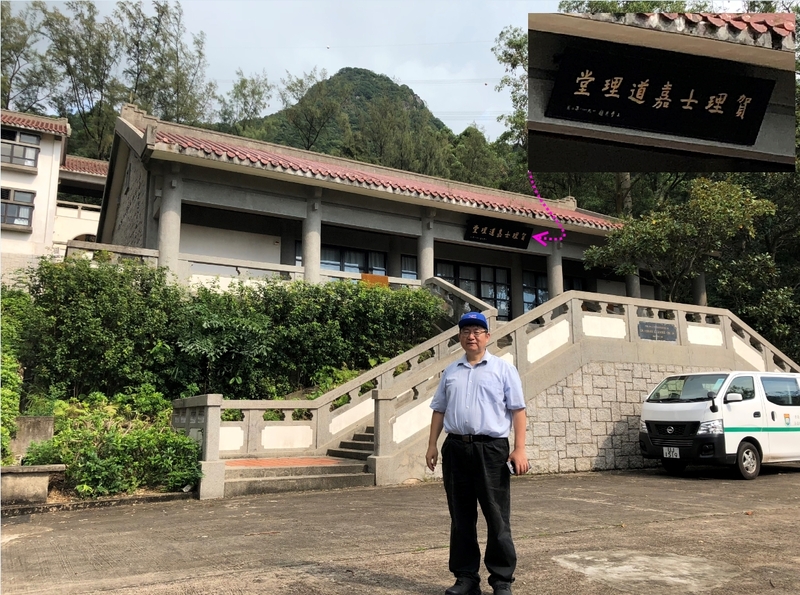 Similar to our main campus, it is also located at the middle level of a northern & gentle mountainous slope of the Tai Mo Shan that is the highest mountain of entire Hong Kong territory. It overlooks Shek Kong in the New Territories. Its direct distances are about 16 km and 10 km to our main campus and Lok Ma Chau on the border to Shenzhen, respectively. The land has been owned by HKU for more than 30 years after a generous support of Sir Horace Kadoorie and Lord Lawrence Kadoorie. However, its development has been slow and limited and its utilization can be much more along with existing usages. Quentin trusts that it is an ideal land for HKU’s further and better development in teaching, research and knowledge transfer. 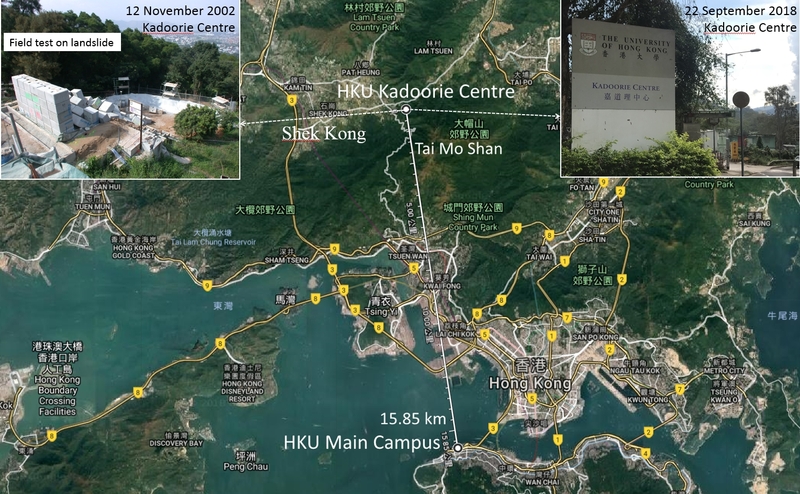 Quentin believes that it is the best time to develop this land as a second largest campus of HKU (i.e., Kadoorie Campus). At present, the populations of our students, administrative and technical staff and teachers have increased significantly. However, our space for teaching and research is relatively small and inadequate for the best performance under the situation of substantial increase in R&D fund of the Government.